Starting the week right! 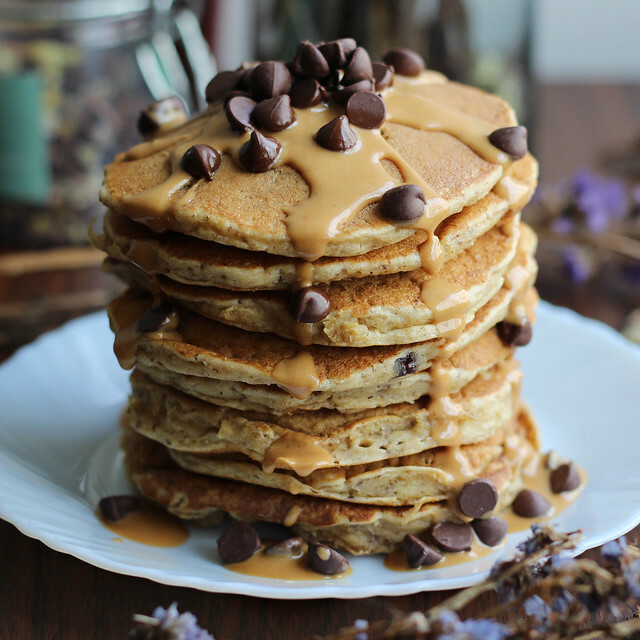 This vegan peanut butter and chocolate chip pancakes recipe makes a stack of about 8-10 pancakes. In a medium-sized mixing bowl, put in the buckwheat flour, mashed bananas and mix. Add in the rest of the ingredients: flax eggs, almond milk and combine with a whisk until well incorporated. Drop 1/4 cup of batter onto the pan for each pancake. Cook until bubbles appear on the surface, flip and cook for another few minutes. Repeat for the other pancakes. Mix peanut butter with coconut oil to make a syrup-like consistency and drizzle on pancakes. Put as much chocolate chips as you want!